World News -- Rand.org: Is an Escalation Imminent in Western Libya? Rand.org: Is an Escalation Imminent in Western Libya? Save for the conflict's opening salvos in the middle of 2014, the Libyan Civil War has largely been contained to pockets of violence. Prolonged battles decimated cities such as Benghazi, Derna, and Sirte, but the majority of the country has been spared large-scale destruction. That could change soon, however. 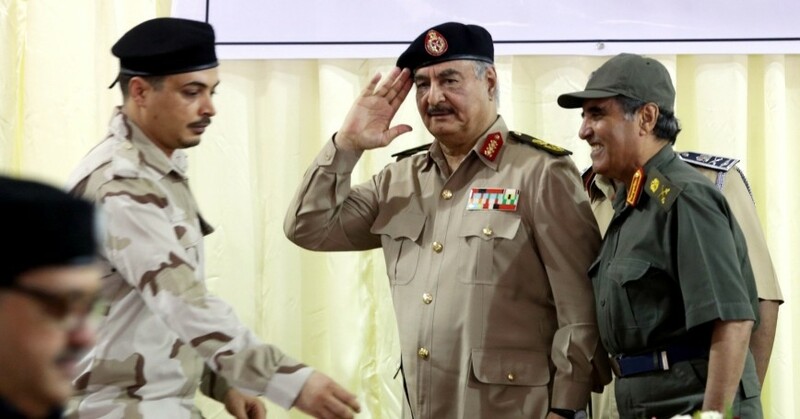 The Libyan National Army (LNA), a coalition of forces led by general Khalifa Haftar, recently expanded into southern Libya. Their moves have been followed by responses and mobilizations from anti-Haftar forces in the country's west, and large-scale military confrontation is now a distinct possibility. Any conflict between Haftar's forces and the powerful western militias—particularly those from the coastal city of Misrata—could be catastrophic for the already unstable country and could have dire security and migration ramifications for Libya's neighbors and for Europe. Despite the current threat of widespread violence, 2019 began with glimmers of optimism regarding Libya's security file. In late 2018 the head of the United Nations Support Mission in Libya, Ghassan Salamé, brokered new security arrangements in Tripoli intended to dilute the power of the capital's dominant militias and vest it in the state institutions of the UN-backed Government of National Accord (GNA). Additionally, Cairo hosted multiple negotiations throughout 2018 aiming to unite the GNA-aligned militias in the west and the self-titled Libyan National Army in the east to form sovereign Libyan armed forces. However, rival militias continue to impede Tripoli's security arrangements, and the Egyptian-sponsored negotiations broke down due to Haftar's refusal to submit to civilian oversight of the military. After negotiations faltered, the threat of military confrontation grew when Haftar launched his operation into southern Libya in January. Heralded as a campaign to purge the south of “terrorists, gangs, and armed tribal elements,” the operation saw Haftar's LNA seize Libya's largest oil fields—al-Sharara and al-Feel—as well as the south's de facto capital, Sabha. The LNA fired nary a shot, instead negotiating with and paying off local armed groups. However, these groups function on a transactional basis, and whether they will remain loyal to Haftar remains to be seen, especially if and when the LNA's main forces vacate the south. It is highly unlikely that Haftar's core units will remain in the south for long, and reports are already circulating that LNA elements are redeploying to Jufra in central Libya, with their sites likely set on Bani Walid, 110 miles southeast of Tripoli. Bani Walid has long been a thorn in Haftar's side. Opposing forces, namely the Benghazi Defense Brigades (BDB) and the militia headed by Ibrahim Jadhran, have used the town as a base to launch multiple operations against the LNA. Jadhran is subject to U.S. sanctions for disrupting Libya's vital oil-exporting capabilities and costing the country billions of dollars, and Haftar considers BDB to be a terrorist group. Furthermore, after being expelled from its stronghold in Sirte in December 2016, ISIS has regrouped in the areas surrounding Bani Walid. Haftar could justify his thrust toward the town as a move to take out terrorists—this is what he did in the south. However, Bani Walid would also serve as an ideal staging area for a push toward Tripoli. For their part, the powerful western militias, particularly those in Misrata and Zintan, are monitoring Haftar's maneuvers with growing apprehension. On March 4, Misrata's Military Council and Council of Elders released a statement affirming their opposition to Haftar and labeling him a war criminal. That same day, notables from 17 western towns, including Zintan, signed a joint statement rejecting military rule and foreign meddling in Libyan affairs. Both positions are dog whistles for anti-Haftar groups, who see the general as striving to re-establish Gaddafi-era military rule with the backing of foreign actors, namely the United Arab Emirates and France. Since issuing these statements, Misrata has reportedly sent forces to central Libya to reinforce Sirte's Protection and Security Force, which itself has called up its reservists. Despite the bellicose posturing of multiple armed actors, military confrontation between the LNA and opposing groups is not certain. The myriad armed actors in Libya's west are hardly a united front. Some tentatively support Haftar, and western militias have spent more blood and treasure fighting each other since 2014 than fighting Haftar. However, if they see his move on the west as a threat to their financial and political interests, they may coalesce and mount a staunch resistance to Haftar, who is unlikely to defeat a cohesive opposition. Instead, to seize control of the west, Haftar would likely have to negotiate and buy off powerful forces in Misrata and Zintan, as he did in the south. But if Haftar does begin a military attempt to subdue the forces in Libya's west and march on Tripoli, it could have dire consequences for the entire country, as well as for Libya's neighbors and Europe. An eruption of violence could upend the fragile stability that is currently stemming migrant flows from Libya across the Mediterranean. Moreover, as it did in 2014, ISIS could thrive in the ensuing chaos and ramp up its already active insurgency in central and western Libya. Should LNA forces abandon their recently won territory in the south to wage war in the west, exacerbated ethnic and tribal tensions could again ignite in the south. Indeed, instances of ethnic violence have already flared in the southern town of Murzuq, following the LNA's withdrawal from the town. To avert a potential military confrontation between Haftar and the west's powerful armed groups, the United States could re-insert itself into the Libyan crisis as a neutral mediator, untainted by active support for any one side or by the baggage of a colonial past in Libya. The United States could pressure Haftar's international backers to rein him in, or, as it has done with other destabilizing actors, Washington could threaten sanctions against Haftar, should he march on the west and risk all-out war. The United States could also reaffirm its support for the United Nations Support Mission in Libya and re-invigorate its diplomatic efforts to resolve the Libyan crisis. Without such action, Libya could backslide into widespread violence, and the stage could be set for renewed migrant and terrorism crises across the region. *Nathan Vest is a research assistant and Middle East specialist at the nonprofit, nonpartisan RAND Corporation.